Q: There are so many hearing aid stores in the area. How do I know where to go? A: The most important thing to know is the credentials of the person who will potentially be testing and treating your hearing. There are many people selling hearing aids who are not doctors of audiology. Make sure the person you have treating your hearing loss is a doctor of audiology. The minimum education needed to be licensed to sell hearing aids in Arizona is a high school education. There is a BIG difference between a hearing aid salesman (aka. hearing instrument specialist) and an audiologist. Hearing instrument specialists (credentials: HIS or BC-HIS) may tell you that they provide “professional” services, they may wear a ‘white coat’, and they may advertise using big words like FREE otoscopic examinations. Otoscopic examination in basic terms means to look in someone’s ear (which is required by law before performing any hearing testing). Regardless of their claims for providing “professional services”, the expertise and training of non-audiologists are technical at best… they are not medical clinicians and they simply do not have the academic credentials, professional certification, or license to identify themselves or act as doctors of audiology. Audiologists must earn a Doctor of Audiology (AuD) degree. This requires 4 years of undergraduate study and an additional 4 years of specialized academic work, including high-level training in the prevention, identification, assessment, and treatment of hearing disorders. Their extensive academic credentials, professional certification, and licensure allow Audiologists to provide a full range of professional services, from consultation and diagnosis to hearing aid fitting and programming, to post-fitting counseling and rehabilitation. Take away any of these services and you no longer have comprehensive hearing care. The Bottom Line: Hearing aid dispensers and audiologists are both licensed to fit and program hearing aids…but that is where the similarities end. There’s a vast difference in education and training requirements between Doctors of Audiology and hearing aid specialists. 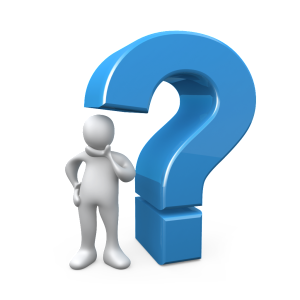 Q: Are there hearing aids that are invisible? A: Yes, there are a variety of hearing aids that are invisible, including IIC (Invisible in-the-canal) hearing aids and LYRIC. Lyric is an extended wear hearing aid that is completely invisible (similar to contact lenses for the eye), and stays in a persons ears for approximately 2 months. There are no batteries to change, and you can shower and sleep in them. They are much cheaper than regular hearing aids and are subscription based. Most people report they enjoy the sound quality much more because the device uses the natural acoustics of the ear canal to funnel sound into the ear. Q: Are all hearing aids the same? A: NO! Hearing aids are not all the same. There are many different brands and some brands are better than others depending on the type of hearing loss you have. It is important to go to an audiologist who works with all hearing aid manufacturers and not just one. If they work with just one, they are usually obligated to sell only that manufacturers hearing aids, which is not in the patients best interest. Q: What are some of the side-effects of hearing loss? A: Some of the side effects of hearing loss are social isolation, fatigue from straining to hear conversation, insecurity, depression, inattentiveness, loneliness, and the early onset of dementia from cognitive decline. Q: Are there hearing aids that can help me understand speech, even when I’m in a noisy environment? A: YES. There are many hearing aids that help to understand speech while in noisy environments. This is where the level of technology and the skill of the person programming the hearing aids comes into play. If you are go to someone who does not have an education in hearing loss and does not fully understand the acoustics and physiology of the hearing system, chances of having this technology programmed appropriately for noise is slim. There are also tricks to hearing better in noisy environments when hearing aids are being worn. Many manufacturers offer noise reduction technology to help in background noise. Some manufacturers are better than others with this technology, which is also why it is important to have options with multiple brands. Q: Should I buy two hearing aids or one? A: Your brain processes sound binaurally (from both ears). It takes information from both sides and puts it together to give you better comprehension. If you have a hearing loss in both ears, you will need two hearing aids to help you hear better and eliminate the risk of auditory deprivation in one ear. If you are only using one hearing aid, you are forcing your brain to re-focus all of the energy to one ear, causing the other ear to lack both auditory input and brain processing. Usually the only time you would wear one hearing aid is if you have a hearing loss in one ear only. Q: Are there any surgical options to treat my hearing loss? A. YES. DEFINITELY! There are many surgical options to treat hearing loss. This is another reason why it is important to have your hearing tested by a doctor of audiology. Doctors of audiology are not focused only on selling hearing devices. Audiologists can test for the various types of hearing loss including testing for cochlear implant candidacy. Hearing instrument specialists are limited to very basic hearing screening and their main goal is to profit from hearing aid sales. If you have a conductive hearing loss, surgical options are available that can correct your hearing. There are also completely implantable hearing aids that work for individuals with sensorineural hearing loss and eliminate the need to wear hearing devices on your ears. Other surgical devices known as cochlear implants help to restore hearing to individuals who don’t receive much help from hearing aids. 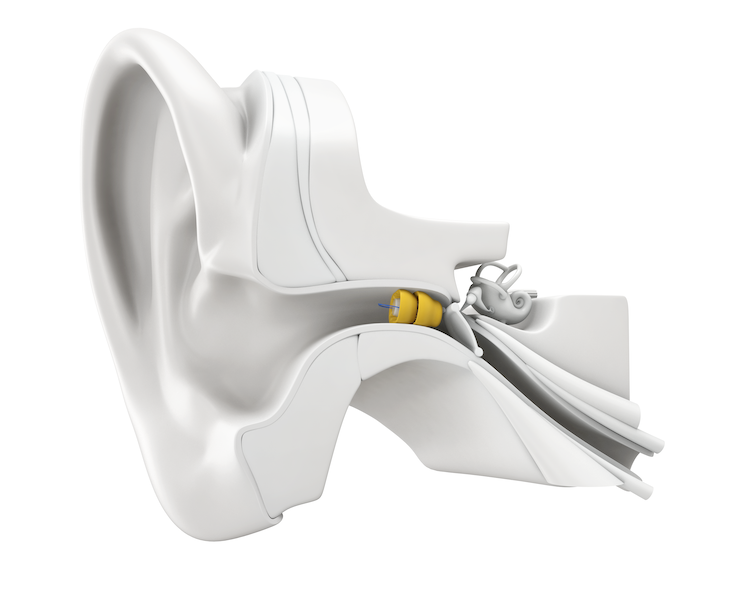 There is a new hybrid cochlear implant that is meant for people who have really bad high frequency hearing loss and more mild to moderate low frequency hearing loss. Definitely seek out an audiologist if you feel this might be an option for you. Q: Are there any potential problems that may arise if I don’t treat my hearing loss? A: YES! Hearing loss can create more problems for a person the longer it goes untreated. Many people live with hearing loss and tell themselves it is not bad enough to do something about it. Untreated hearing loss leads to auditory deprivation which can cause the hearing nerve to shut down over time. If the nerve shuts down because it hasn’t been stimulated for a long period of time, chances of hearing aids helping are very slim. If hearing aids are worn after the nerve has shut down, the biggest complaint is clarity. Recent studies also show that untreated hearing loss is now raising the risk for the early onset of dementia, due to lack of stimulation which results in cognitive decline. Keeping all the areas of the brain functioning to their full potential helps to decrease the risk of dementia. A: Honestly, basic hearing aids can be built for a low cost. Only four basic components are needed to build a basic hearing aid: a microphone to pick-up and translate sound into electrical impulses, an amplifier to make the electrical impulses stronger, a receiver or speaker to translate those stronger impulses into louder sounds to be delivered to the ear, and a pre-wired faceplate to connect all these components together. Anyone can purchase these generic components and put them together to produce a unit that amplifies sound. There are even a few companies that does this routinely. There are many reasons, however, why good quality hearing aids cost as much as they do and why you should want to invest in a hearing aid built by a reputable manufacturer. Remember the adage, “You get what you pay for.” Ask someone who has listened to one of these home-made or generic hearing aids. They sound awful. Most people who purchase these types of hearing aids regret their decision. They end up putting these aids in the dresser drawer because the sound quality is so appalling, the craftsmanship so poor, and they lack the knowledge of how to effectively use the device. Manufacturers spend an enormous amount of time and money on the research and development of digital hearing aids before they are released to the public. The companies that we work with reportedly spent $20-30 million each on the research and development of their latest product. Developing new hearing aid technology is not just about electronics any more. Medical research is a new area of cost for manufacturers. It is necessary for scientists to gain a better understanding of the complexity of the cochlea and effects of hearing loss on the hearing organ in order to develop better products. Computer scientists and engineers must use the medical research to develop miniaturized computer chips and formulas that the hearing aids use when amplifying sound. They also must design software for the audiologist to use when programming and adjusting these computer chips within the hearing aid. It can take years of developing and redesigning to generate a new product. Manufacturers are continually striving to produce a product that amplifies sound more naturally, clearly, and comfortably, and is able to make speech more audible in the presence of background noise. Learning to use the hearing aid manufacturers design, whether you are a first time user or you are upgrading to substantially higher quality, takes time. It is hard to teach old dogs new tricks, as the saying goes, and some people take longer than others at adjusting. Even the most independent do-it-yourself type of person can benefit from someone who really understands hearing loss and hearing aids. During the adjustment period, it helps to have a qualified, reliable audiologist available. They will help you decide which of the problems you are experiencing are related to the hearing aid itself, which will require adjustments of the aids, and which are related to relearning, requiring your brain more time to adjust. The amount of time an audiologist spends with someone learning to use a new hearing aid is significant. Our office averages five direct contact hours during this critical learning period. The only hearing aid course you could take that would provide you with the same benefits as working with a certified audiologist is offered only at Central Michigan University, Michigan State University, Wayne State University, or Western Michigan University. It is a minimum of 24 months, is highly intensive, and will cost you a few thousand dollars. In the end, however, you will have the minimum amount of training required to be an audiologist – a Masters degree. 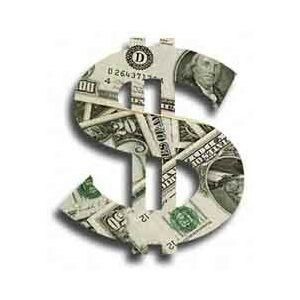 No matter how we say it and whether you like it or not, part of the cost of your hearing aid pays for the audiologist. To maintain the leading edge in hearing aid technology requires state of the art equipment and training, rent, and lights; all so you have a reliable place to go to for adjustments, counseling, and repair. If you are paying high prices for a hearing aid from a hearing instrument specialist to make these adjustments, with absolutely no education at all dedicated to hearing loss, you are most likely overspending in more ways than one. Having a good quality product from a reputable manufacturer and a qualified and reliable audiologist is only part of the picture. Consumers must make that initial step toward pursuing amplification by contacting an audiologist. While there are an estimated 28 million people with hearing loss, less than 21 percent of them are wearing a hearing aid. That leaves a staggering 75 percent of those who would benefit from hearing aids who are not wearing one. While this is a frightening statistic, it is the root of the problem. After a manufacturer releases a new product to consumers, they must spend more money marketing the instrument. Until more consumers are willing to base their investment in a product that is going to improve the quality of their life and those around them instead of price, the price will not drop. The elevated price that seems to accompany this marvelous technology is definitely worth every cent. Especially when you compare it to other expenditures families experience these days. The average cost of one digital hearing aid can range from $1500 to $3500. Take the average cost of a top of the line digital hearing aid – $3199.40, divide that cost by 5 years (the lower end of the life expectancy of a hearing aid) and it computes to $639.88 a year or $53.88 a month. The amount of money most people spend monthly for cable, movie rentals, movie theater tickets, cell phones, magazine subscriptions, and restaurant bills well exceeds $53.88. Audiologists, like consumers, are concerned about keeping the cost of hearing aids affordable. We would love it if more people could benefit from the technology because communication is one of the most important skills humans possess. It is important to make an educated decision concerning your hearing loss and hearing aids. Hearing aids can offer significant benefits to those with hearing loss, more so than ever before. When purchasing a hearing aid try not to be driven by the cost of a hearing aid. Remember the reason you are purchasing the hearing aid to begin with. to better communicate with your family and friends.